Queen Kalima: "Come at me bro!" Hello everyone, my name is Mark Woodin and I'm from Greensburg, Pennsylvania. I am a recent addition to the Alter Reality Games family and I can't be more excited to be a part of something so amazing. For those of you who haven't heard of me in the past, I'll give you a little bit of back story before I get into my article. I've been playing trading card games since I was back in middle school, almost fifteen years ago and collecting random cards for even longer before that! I like to see myself as being well-rounded in the world of card games and I've played everything from Pokemon to Yu-Gi-Oh!. When I started playing Yu-Gi-Oh! is when I really started becoming involved in the competitive scene. I attended every local regional event in the Pennsylvania area that I could make, most of which were in Butler, PA. Here I met a ton of great players including Jeff Jones, Roy St. Clair, and Vincent Tundo to name a few. I have had numerous "tops" in these events and a few wins as well, primarily in Butler and Rochester, NY. I have attended several Shonen Jump Championships (SJCs) and Yu-Gi-Oh! Championship Series (YCS) events including: New Jersey, Ohio, Pennsylvania, and even one up in Canada, however I never quite made it to the top cut. I also earned my National invite back in 2005, 2006, 2009, 2010, and 2012. My best performance was back in Ohio when I made it to day two and got 34th place out of a field of over 1,100 people running an original deck that I called "Caster Chaos." Sadly I didn't make the top 32 cut due to my tiebreakers, however, I was extremely excited to see my originality putting in some work; it didn't stop there! I decided to get back into my education a bit further and I started working on my Master's Degree last year. Due to my time and schedule constraints, I wasn't able to make my Yu-Gi-Oh! locals anymore. Being that card games were a huge part of my life, I had to make something work, so I started playing everything. Friday's were just about my only free day to play any games, so I played what I could when I was able to. Eventually a reboot of Duel Masters, called Kaijudo was released and I immediately dove into it! Since then, I've been playing it at my local game shop and I've even posted some content to YouTube. Currently my YouTube channel (Raijinku) is one of the larger venues online for Kaijudo content with over 250 subscribers, but hey, there's always room for improvement, right? I have been writing for Pojo.com since January of this year, working on a daily "Card of the Day" review. In this process, I have had the opportunity to review over 180 cards in detail and even get a few exclusives from Wizards of the Coast themselves! 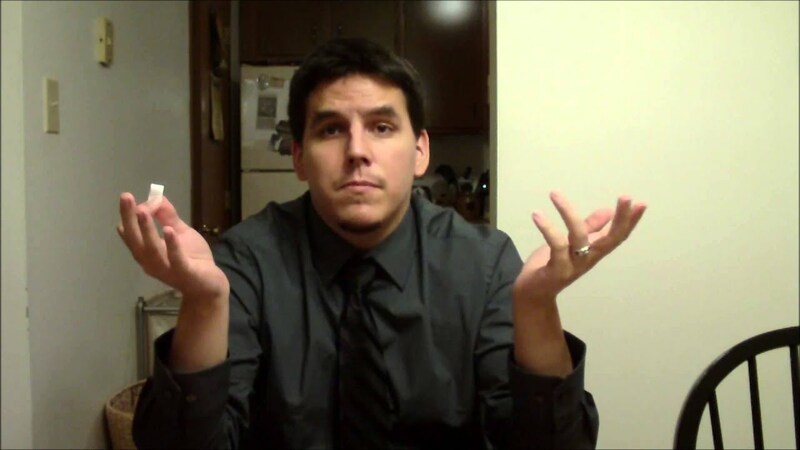 I also entered into the "Kaijudo Commentator Challenge" earlier this year and made it into the top six finalists. Sadly, I did not win, but that wasn't going to keep me down. When the Kaijudo Master Challenges were announced, I was ready to start playing the game more competitively than I had in the past. Up to this point, all we had were local tournaments, no real way to keep track of points, and so on. So I started preparing different decks, however, one of the biggest stumbling blocks in my way is that the meta wasn't really established. We had to rely on whatever was being talked about online in the Facebook Dojo group or what was being covered on YouTube. Original deck ideas were important but it seemed that most people would just jump on the most recent winning decks out there. So were we as a community doomed to be lemmings? Following blindly, not asking questions about deck choices, and just running the best "net-deck" that we can find? In some cases, yeah, we were. I wanted to break away from that mold, make my own original deck ideas to go outside of the generalized meta. I had made a Leviathan Control deck after my first unsuccessful attempt at my first KMC and the deck was amazing. I posted it online for everyone to see and coincidentally enough, a few weeks later, fellow writer, Bobby Brake, ran a similar version to the deck that I had posted. At that moment I knew I was on the right track, after all, great minds think alike! I was able to see what could be "Anti-Meta" in the environment and that if I continued to apply the knowledge I've been using, I could earn a spot in the next championship tournament... if I played my cards right. In my next attempt at a KMC, it was at the Alter Reality Games shop in Akron, Ohio. 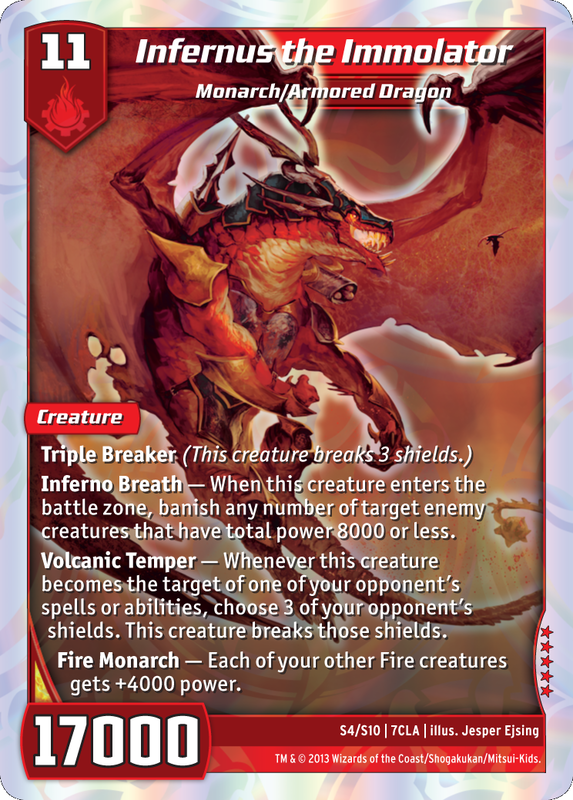 I had put together a Fire/Water rush/tempo deck to combat against all of the people that were so adamant about running [ccProd]Eternal Haven[/ccProd]. I believe in this situation the meta call was correct, however, everyone else must have had the same idea; rush decks seemed like they were everywhere! After a rough ruling involving Scamp and Stormspark Blast and having to play against two of my teammates, I finished the day with a 4-2 record. I was on to something, but now I had to take into account the rush match-up as well. Moving onward, closer to the present, I was testing out some new methods at a local Duel Day when I was able to borrow a couple of Kalima from a friend. I wanted to try out Kalima and see just how effective the deck was against Haven and Dragons... I was certainly not disappointed with the results. I started trying out new tech choices to deal with several deck types, specifically Haven and Rush. In the process, I also wanted to be able to get Kalima's ability to effectively banish three of my opponent's creatures every time. I experimented with some low level Blockers like Skeeter Swarmer and Stingwing and was surprised that they were able to deal with not only rush, but most cards in the Tempo match-up as well. Since my creatures died so easily, I thought of an effective solution to stabilize my mid to late game state, Serpens, the Spirit Shifter. 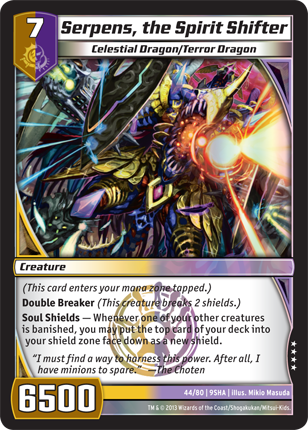 This card single-handedly allowed me to gain back shields I had lost and gain back the momentum that I had lost earlier in those aggressive games against Tempo or, for example, Megabugs. At one point I even threw down a second Serpens and rammed some of my creatures into my opponent's and gained two shields for each one that went away! My first three rounds were perfectly paired (William Dyer, Matthew Robinson, and Ryan Valentino); all of them were playing Haven decks! Outside of some luck factors with shield blasts from my opponent's I was in full control of the game. If they got out Eternal Haven, they generally didn't have much of a follow up. I simply just had to play Mark of Kalima or Queen Kalima herself and the match was mine for the taking. In my fourth round I got to play against fellow writer, Zach Hine, using a Water/Dark/Light Tempo deck. This was definitely one of my harder match-ups. The entire time I was trying to rid him of any advantage he could gain all while he kept on gaining it back with cards like General Finbarr. Inevitably I was able to regain my footing and land a ton of Blockers as well Serpens, gaining back all the shields that he had previously taken away from me. Moving on to the fifth round I was faced with a dilemma, I had been paired down and had to play against a teammate, Kat Moran. Being a bit unfamiliar with the process of intentional draws, I reluctantly decided to do so in hopes that she could win her last match. I could have given her the win that round, but there could have always been the chance that by doing so I could get pushed out of the top eight if my last opponent would want to play the game out and if I were to lose. Finally, we moved into the final round where I was to play Thomas Rogers. To make things simple we decided to draw and we got a little bit of time to relax for the top eight matches. In the top eight, my first round was against Yousuf Fallah who was running Dragons. I was able to capitalize on him playing creatures while I stayed back and waited for the opportunity to strike. At one point he had summoned a [ccProd]Lyra, the Blazing Sun[/ccProd] and attacked my shield with [ccProd]Herald of Infernus[/ccProd]. I followed up by playing a Scavenging Chimera and evolved it into Hydra Medusa to banish his Lyra and trade off with Herald. Plays like this continued until I was able to get out Kalima and hold my advantage over him. Moving onward to the top four, I had to play Steve Greyor, who was running a Water/Fire Rush deck. My deck was well-equipped to deal with this match-up and proved this by getting out a bunch of Blockers and eventually playing [ccProd]Dracothane of the Abyss[/ccProd] to seal the deal. In the next game I had Screeching Scaradorables to banish his creatures and I eventually got out my Serpens with other Blockers on board leaving Steve with no other options. Going into the finals I was paired up against Thomas Rogers again, it seems we were destined to play each other after all! In our first game I was off to a great start and was well on my way to victory! That was halted very abruptly when a turn five Bottle of Wishes allowed Tom to play [ccProd]Infernus the Immolator[/ccProd] against me. There wasn't much I could do at that point to come back... even after I played Kalima, he was still left with his Immolator. He hard cast another bottle and brought out [ccProd]Heretic Prince Var-raka[/ccProd] and then summoned another creature and was able to take the game from there. In our next game I started out with some early knowledge via Mesmerize to get rid of his Nix. It eventually came down to Tom playing a Herald as well as a Stormspark Blast to attack over my creature. To make a bad situation even worse, he ended up dropping Infernus the Immolator again! Did I mention that he only had one in his entire deck? I fought back with what I could and re-established my shields with Serpens... but eventually I had a heartbreaking moment when I drew for my turn to see Queen Kalima, only to have nine mana at my disposal. Overall, I was ecstatic on how my deck handled! I had made the right meta call and earned second place at the KMC with only one loss the entire day. My deck definitely could use some tweaks here and there but that will have to be discussed at another time. Until then, remember to break away from the meta and try new ideas. See what is popular in your area or what has been gaining popularity online and ask yourself, "What beats this deck? What kind of weaknesses does it have?" I'm sure you'll be surprised with the outcome! The Circuit Series comes to Worcester, MA on November 17! Until next time, this has been Mark Woodin, and as always, remember to keep calm and game on; see you all at the Winter Championships in Texas!